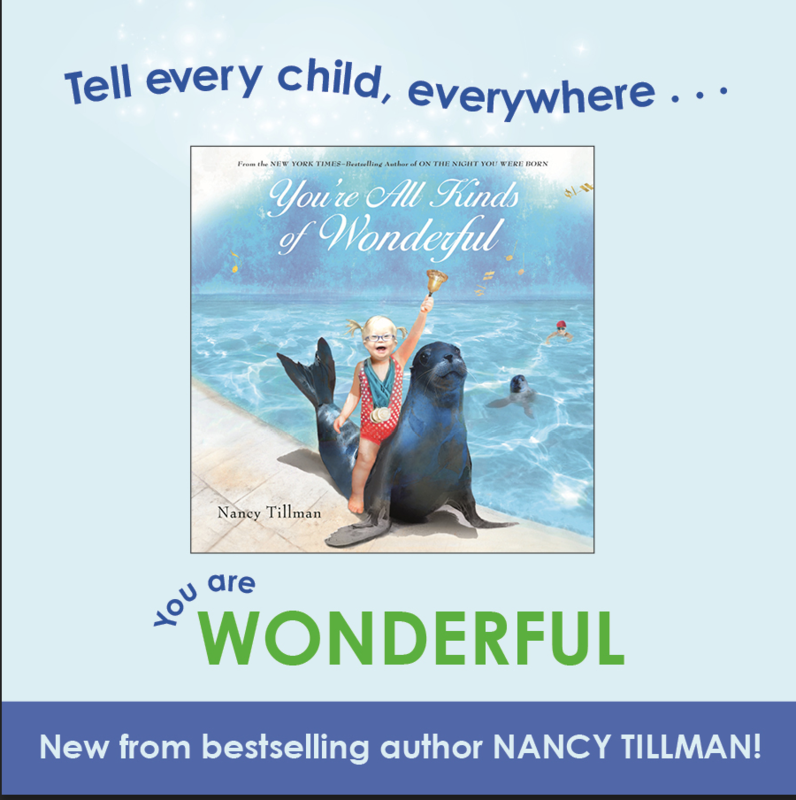 We’re pleased as punch to be able to introduce you to Nancy Tillman, the creator of one of the very first books we sent out in a Bookroo box! 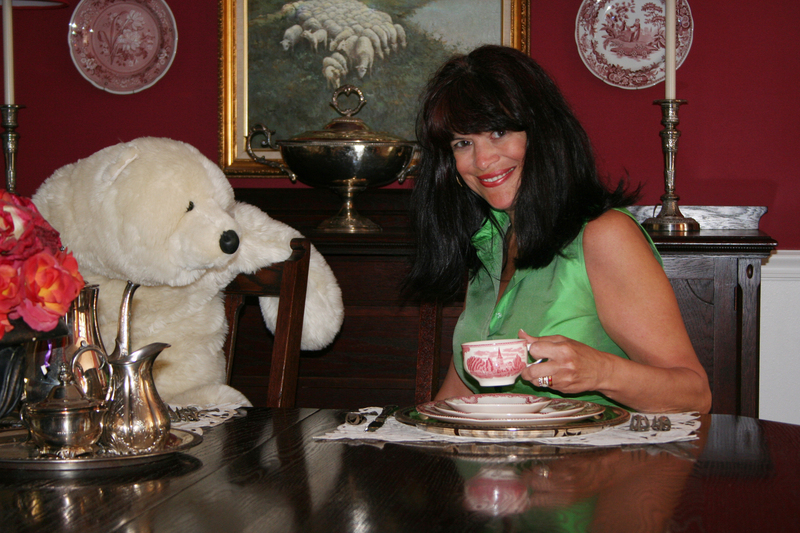 Nancy is the author and illustrator of fourteen children’s books including five New York Times Bestsellers. Born in Alabama and raised in Georgia, Nancy has an English Literature degree from Rollins College, and co-founded an advertising agency before choosing to be a stay-at-home mom. Nancy has 2 wonderful kids, and currently lives with her husband and two dogs (a pug and a Swiss Mountain dog) in Portland, Oregon. Bookroo: The story of how your first book On The Night You Were Born went from being self-published to a New York Times Bestseller is slightly crazy and absolutely impressive. Tell us a little about that. Nancy: I was fortunate enough to find a distributor for self-published books that helped me get the book into the major stores. Because I also had a greeting card line at the time, my distributor was able to get the books into gift stores. After 35,000 were sold the first year my agent, Cathy Hemming, came into the picture and Feiwel and Friends published the book, and my subsequent books. Bookroo: The first page of On The Night You Were Born came from a greeting card you’d created. Have you made a lot of greeting cards? Nancy: Once upon a time I had a greeting card line called Once Upon a Card☺ Today, Sugarhouse Greetings sells cards of mine with images and greetings from my books. Bookroo: You were a stay-at-home mother for 18 years between your career in advertising and the beginning of your career as a children’s book author and illustrator. What was your favorite part about being a stay-at-home mom? The hardest part? Nancy: Oh my goodness, it was the best job I ever had, because I can still see the effects it had on my children. It’s hard to pick a favorite part… but two of my favorite moments were when each of my children said to me, “Mom, I love myself. Is that okay?” Of course, that’s what we all want our children to do… love themselves! The hardest part for me, and probably for most moms, was finding time for myself. But it was SO WORTH it! Bookroo: As a mother, as well as an author and illustrator, what advice would you give to other parents (or grandparents!) who are trying to raise readers? Nancy: Let your children be a part of the process of picking the books they read. And snuggle in with them! Reading creates a wonderful parent/child bond and positive associations with reading. Bookroo: Tell us a little about the process for creating your illustrations—from what we’ve read it sounds quite involved! Nancy: I begin with an image in my head, and I create a collage of it with many, many layers. When I am satisfied I then flatten the layers and paint over the top. Bookroo: What do you do when you're in need of some inspiration? Nancy: Sometimes there is nothing like a long walk… or a day or two away from whatever is causing me frustration. Bookroo: You’ve now published 14 children’s books. What is the single biggest thing you’ve learned about creating books people love? Nancy: For me in particular, my goal is to give parents words to say what they feel about their children. If a parent tells me I’ve done that, that’s the best compliment I could get. Bookroo: What single piece of advice would you give to aspiring authors or illustrators? Nancy: I self-published. So I’d say do your research! There’s an awful lot involved, but it can be done! Bookroo: Do you have a favorite children’s book? Bookroo: We’re a community of book lovers. Do you have any upcoming projects you can tell us about? Nancy: I just delivered a book called I Knew You Could Do It! It will be out next fall. This book celebrates everyday accomplishments (a good grade, learning to say “I’m sorry”) to milestones… like graduations, as well as cheerleading your children into the future. More than anything, it tells them that you will always believe in them. We really appreciate the opportunity to get to know Nancy better and learn more about her work as an author and illustrator. You can learn even more about her and see more of her work on her website! All images courtesy of Nancy Tillman.